Just thought I'd start posting this for the people that dont know where to find it. I will keep it up to date. [UPDATED] All pbo's have now been binarized as this will increase performance and stability. [FIXED] Prevent packed tent bags and removed items from sinking into ground. [ADDED] Vehicle purchases and item removals now log server side the player that performs the action. [ADDED] Added ability to force on or off name tags. DZE_ForceNameTagsOff disables name tags. DZE_ForceNameTags does not give the player an option and just enables name tags. [REMOVED] Modern Civilian vehicles pack http://www.armaholic.com/page.php?id=17447 removed due to permission issues. [UPDATED] Panthera trader cities reworked by Axle. [UPDATED] Player zombie attack move now uses the "Vault" key, bound to "V" by default. [UPDATED] Abort time reworked and now uses the abort button to show count down. Thanks to Skaronator for the help. [UPDATED] Updated battleye scripts.txt. Server admins should always add your own custom restrictions tailored to your code environment. [UPDATED] Version checks on 4 main pbo files, this is to make sure everyone is fully updated. Thanks to Skaronator. [ADDED] Fapovo and Podagorsk support added with traders. [ADDED] dayz_paraSpawn = true now uses 1000m halo jumps for each login and fresh spawns. [ADDED] Auto continue when mission loads for first time thanks to Skaronator. [ADDED] Backpack opening sounds from 1.8 thanks to Zabn. [ADDED] New sounds for mineral vein destruction and document examining. [ADDED] "Unknown Document" can now be found around the world and on enemies. 'Examine' this document to reveal what it really is. [ADDED] Can now adjust z height of base building items in 1 meter increments with ALT + PGUP/PGDN (User13/User14) and 100th of a meter increments with CTRL + PGUP/PGDN (User7/User8). [ADDED] Backpack opening sounds from DayZ CE 1.8 thanks to Zabn. [ADDED] Downgrading locked door to unlocked door is now possible if you know the combination and if you are the owner or a friend of a plot pole. [ADDED] Can now pack lumber and plywood into packs thanks to idblackdragoon. [ADDED] Can now pack Scrap Metal, Tank Traps, Wire Kits as well as Coke and Pepsi into supply crates. [ADDED] Added lootable ammo 100Rnd_127x99_M2,48Rnd_40mm_MK19,50Rnd_127x107_DSHKM, 29Rnd_30mm_AGS30, 2000Rnd_762x51_M134 to Helicrash and Military Special loot tables. [ADDED] Randomly occurring supply drops now use a destructible ammo crate, break it open and remove the wreck to get armed vehicle ammunition. [ADDED] Up to 3 destructible ammo crates now spawn randomly around roads at server start. Break it open and remove the wreck to get armed vehicle ammunition. [ADDED] New loot and zombie spawn positions. You can now find items on many more shelves and tables. Thanks to Zabn for the help with small loot table and code. [ADDED] Craft Iron ore into scrap metal. 4 ore + 1 water bottle and a fire = 1 scrap metal. thanks to Axeman! [ADDED] Iron, Silver, and Gold ore mining from mining nodes found on hills around the map. You actually must break the rocks then remove the rubble. Silver and Gold ore can be smelted to 1oz bars with a fire and full water bottle. Control the max number that spawn at server start with MaxMineVeins variable. [ADDED] New intro screens from 1.7.7 thanks to Skaronator. [ADDED] New opt-in 3d color coded name tag system that allows you to choose to show your name or not. Your name is displayed color coded based on your humanity. Red text equals -5000 humanity and blue +5000 everyone else is displayed with white text. Thanks go to ToeJam and Gimmic for the ideas. The distance of this tag defaults to 25 meters and can be changed with DZE_HumanityTargetDistance. [ADDED] Podagorsk trader cities by Axle. 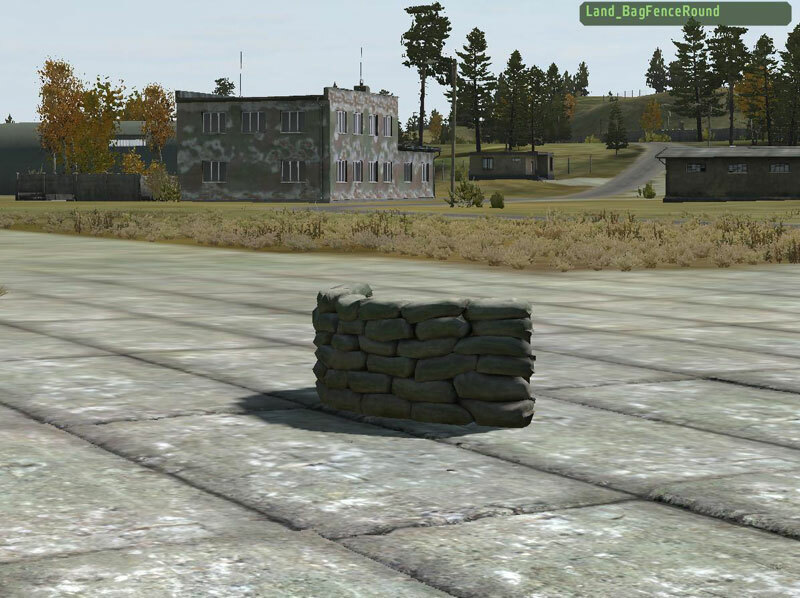 Also added BI keys for Podagorsk from play with six http://play.withsix.com/mods/108-fdf_podagorsk. [ADDED] Asset for hotwire kit. [ADDED] Hotwire kits found rarely on policeman zombies and even more rarely in vehicles. Have a 75% chance to work and are consumed on use and only unlock the car for one time use. A server restart will re-lock the vehicle and the owners key will still work. [ADDED] Vehicle cargo is now locked when the vehicle is (Thanks to Zabn) and cargo check is unavailable. [ADDED] All additional assets & artwork by Paul/Sequisha. [FIXED] Improved collision model with modular objects. [FIXED] Fuel pumps now require to be built within 30m of a fuel tank. [FIXED] Lowered stairs at Chernarus trader city klen to prevent broken legs. [FIXED] You can now eat and drink in vehicles. Thanks to Skaronator. [FIXED] Can now see cargo capacity of storage devices like wood shack. [FIXED] Bicycles can no longer be locked and do not give you a key when purchased. [FIXED] Disallow player zombies from choosing to display their name. [FIXED] Prevent player zombies from getting infected. [FIXED] Player zombies now have same skins as the zombies. [FIXED] Fixed issues with crossbow arrows not spawning after shooting them. [FIXED] Zombies now attack anyone before only your own zombies would attack you causing them to stand around other players. [FIXED] Issues with picking up more items than you should with melee weapon attached. "Vectoradd" function zero divisor fix thanks to Zabn. [FIXED] Suppress gas mask errors from overwatch players thanks to Skaronator. [CHANGED] Disallow changing clothes if another player is within 12 meters. [CHANGED] Increased chances to catch a fish by double. [CHANGED] Safes now holds 50 weapons instead of 20. [CHANGED] Renamed many public variables and updated battleye. [CHANGED] Chernarus 11 airplane dealer is now NEUTRAL. All Panthera traders changed to NEUTRAL. [CHANGED] Prices on cooked fish increased to encourage fishing. [CHANGED] Empty Supply crates removed as a crafting requirement. [CHANGED] Removing wood and cinder wall wrecks will now give a random number of items in return and will spawn on the ground. [CHANGED] Full moon nights date changed from 2012,6,6 to 2013,8,3. [CHANGED] New you are dead screen by Paul Tomany. [CHANGED] Disabled action menu F1-12 and 0-9 keys. [CHANGED] Harvest wood now uses a shorter swing animation and requires hatchet in hand. [CHANGED] Close combo lock gui after each try randomly after 4 or more tries. [CHANGED] Modular building and safes now place perfectly vertical. This may cause some issues with existing bases. [CHANGED] All armed vehicles now spawn with no ammo and on each restart. You must now find then add your own ammunition to wreak havoc. Change this with by using non "_DZE" classes of vehicles. [REMOVED] Maintenance option removed from all objects that have a remove option. [REMOVED] Benches at NWAF thanks to Skaronator. [REMOVED] Old tag system removed in favor of new system mentioned above. [REMOVED] Big cargo boat "sigisolda6" in chernarus was causing lag remove it and major FPS gains are had thanks to mathewjknott for pointing this out. [REMOVED] Removed quicktips from loading screen to fix blackscreen issue thanks to Skaronator. Cheers 2yys! You're a star!!! [ADDED] Any attempt to abort will now have a 10 second timer. This should also help with preventing bodies from disappearing when logging out to quickly after death. [FIXED] Performance/lag fix: player save was updating way too often now updates properly based on playercount*2 +10. [FIXED] Removed debug message spam from r3f weight system. [FIXED] Prevent bunny hop near base building items to reduce glitching into walls. [CHANGED] Building upgrade and maintenance now use one function server side. [CHANGED] Added debug back to most server side code. [REMOVED] Flies from dead bodies until cleanup is working again. [REMOVED] Removed pipebomb from military special loot table. [UPDATED] Takistan traders/cities. Added "Black Market" vendor. Moved traders around in Garm. Moved Hero Vendor in Kush. [UPDATED] Changed workbench textures to use same texture assets as all other lumber/plywood. [UPDATED] Crafting system updated, now supports crafting weapons and with weapons. [ADDED] Epoch Event: Supply drops with building supplies. [ADDED] Modular base building wreck models by Paul Tomany. You can remove these to obtain a small amount of materials back. [ADDED] Sledgehammer toolbelt/melee weapon Paul Tomany (ItemSledge) that can be crafted from a handle (farm spawn) and hammer head (worker zombie). [ADDED] Model and icon for kilo of hemp by Paul Tomany. [ADDED] cinder_door_kit CinderWallSmallDoorway_DZ upgrades with ItemPole + ItemTankTrap to CinderWallDoorSmall_DZ then upgraded to CinderWallDoorSmallLocked_DZ with a combination lock. [ADDED] Weights for the itemkeykit and itemsledge meleesledge to Rf3 realism. [ADDED] Added missing trader items: Skin_SurvivorW3_DZ, 4 missing backpack types, bulk crate of scrap metal. [FIXED] Crafting now displays that item was crafted before going to next loop. [FIXED] All Tents should now pack properly. [FIXED] Changed destruction type on wood walls to prevent vehicles from running them over with little to no damage. [CHANGED] Removed DMR spawn and replaced with M4SPR. [CHANGED] Reduced default zombie counts by half was 30 now 15 per player. Also reduced global zed count increase per player within 400m from 10 to 5. [CHANGED] Cinder Block walls armor reduced from 1600 to 1000. [CHANGED] If a plot pole is used only the owner and tagged friends can upgrade in-place. [CHANGED] Tents now have a lower chance to spawn one of the three tent types. [CHANGED] Lowered construction count on tank traps to 1 was 3. [CHANGED] Server config.cfg now uses reportingIP = "arma2oapc.master.gamespy.com"; by default. [CHANGED] All missions description.ext changed to allow side chat by default. [CHANGED] Increased chance to find a lockbox on business suit zombie. [REMOVED] old dayz combat roll in favor of st_bunnyhop. [ADDED] New lighting system by axeman that requires a running generator (disabled by default as we need more testing/feedback). To enable uncomment  execVM "\z\addons\dayz_code\compile\local_lights_init.sqf"; in the mission files init.sqf. [ADDED] Cinder block garage doorway crafted with: 1 empty supply crate + 1 mortar bucket + 3 Cinder blocks piles. Can be upgraded in-place to garage door with 3 x itemPole + 3 x ItemTankTrap. Then upgraded to a locked garage door with the ItemComboLock. [ADDED] Half size Cinder block wall crafted with: 1 empty supply crate + 1 mortar bucket + 3 Cinder blocks piles. 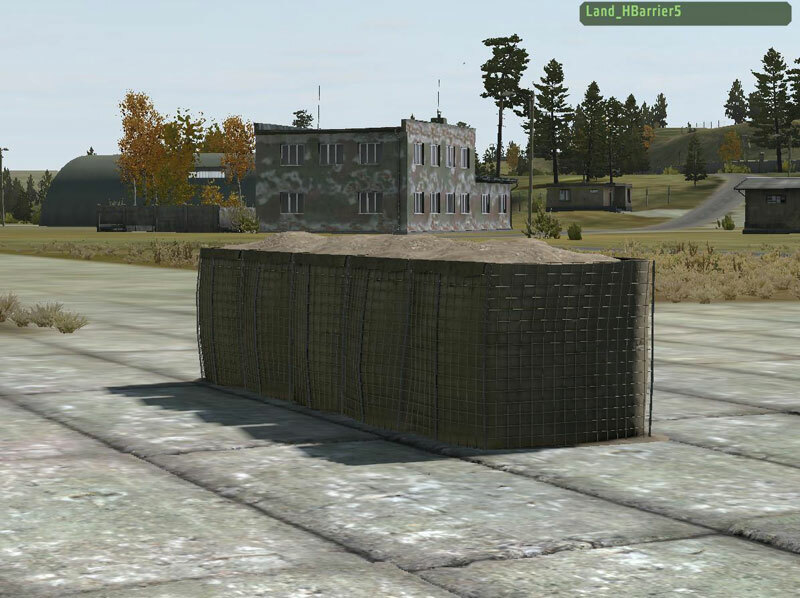 [ADDED] Full size Cinder block wall upgrade half wall in-place with 1 mortar bucket + 4 Cinder block piles. [ADDED] Cinder blocks and Mortar Bucket (Industrial), lumber (Farm), and plywood (Residential, Office) packs by Paul Tomany. [ADDED] ItemComboLock as a spawn chance to police officer. [ADDED] Added one missing tree type for wood harvesting. [ADDED] Isla Duala traders with city's by DayzGo.com. [ADDED] Wood walls can now in-place upgrade to a wall with window. [FIXED] Missing bio meat can model. [FIXED] Incorrect class returned when crafting stairs with supports. [FIXED] Fixed worker zombies did not have correct loot table that included ItemComboLock. [FIXED] Tents not dropping items when packed. [FIXED] Pushed down some text output that was under the gear menu. [FIXED] Players no longer get teleported out of moving vehicles. Server admins can also now override the settings of this with DZE_teleport = [1000,2000,500,200,800] in init.sqf. [FIXED] fixed packed tents floating when packed on top of another object with roadway. [CHANGED] Lights are now off by default to facilitate axeman's new lighting system. [CHANGED] Building keys changed: PgUp = raise, PgDn = lower, Q or E = flip 180, and Space-Bar to start building. [CHANGED] Custom building keys can be set: User15 = raise, User16 = lower, User17 = flip 180, User18 = flip back, and User19 = build. [CHANGED] Crafting 1/4 wood floor now requires only 3 lumber and 3 plywood. [CHANGED] Building preview now allows 50 seconds instead of 45. [CHANGED] Pitching a tent now requires 1 stage to build. [CHANGED] Most construction times for modular building now takes 3 stages. [CHANGED] Added back PKILL server log on death. [CHANGED] Instance 17 Chernarus mission files as they are incomplete used instance 11 files instead. [CHANGED] Crafting will now process all available items with one click. Move to cancel at any time. [REMOVED] Building wood gate option from lumber. [ADDED] Can now convert engines and fuel tank parts for scrap metal. requires workbench/workshop. [ADDED] Building maintenance: You can now reset the timestamp and damage on base items by using parts like lumber, plywood, and scrap metal. [ADDED] Level 1 Modular building http://dayzepoch.com/wiki/index.php/Modular_Building_System components by Paul Tomany. [ADDED] In-place upgrade system for some base building items like wood doorways > door > locked door. [ADDED] Combination lock by Paul Tomany that has 1% chance to spawn on worker zombies. [ADDED] Swapped some zombies with their 1.7.7 counterparts that are harder to kill. [ADDED] Death/Murder board ui http://puu.sh/47I8f.jpg by @maca134. [ADDED] Improved trader menus by @maca134. [ADDED] Lockbox that holds 50 mags, 20, weapons, and 5 backpacks rare spawn on business suit zombie. [ADDED] Added some more bulk supply crates to wholesaler: bulk_ItemTankTrap, bulk_ItemWire, bulk_PartGeneric. [ADDED] Health regeneration! Only if thirst and hunger are above 90% and you are not: in pain, infected, or bleeding (still using placeholder models). [ADDED] Added harvesting of plants: Pumpkins, Sunflower Seeds, and Hemp using right click on hunting knife. [ADDED] Triple H-barrier craft-able with 3x ItemSandbagLarge = ItemSandbagExLarge (Land_HBarrier3_DZ). [ADDED] Unique ID added to vehicle keys used better to identify keys. [ADDED] GPS to armored SUV. [ADDED] Experimental 999,998 custom SQL support thanks to @maca134 (This will not yet be shipped as it needs more testing). [ADDED] Better cleanup methods thanks to dayzero/Tansien http://zombies.nu. [ADDED] Building can now happen anywhere you can control the Z axis with numpad 8 = up numpad = 2 = down and numpad 5 to start building, ESC to cancel, numpad 4 and 6 flip the orientation. 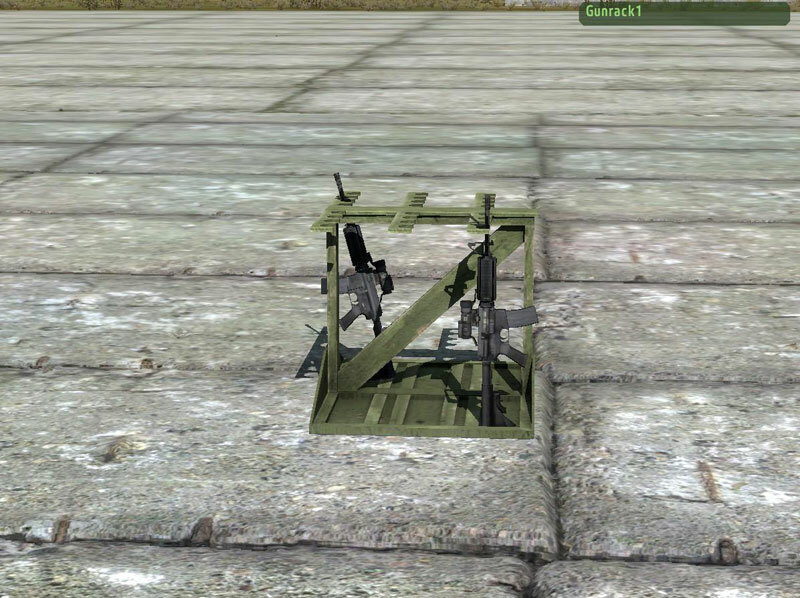 [ADDED] Tow truck VIL_asistvan_DZE can tow vehicles that fit within the bounding box of the model. [ADDED] Ability for fuel trucks to fill nearby vehicles 30m when engine is running. [FIXED] Removed repair action from tow truck with VIL_asistvan_DZE. [FIXED] incorrect gold remove option on empty briefcase should have been add x 10. [FIXED] Server side cleanup and time sync was not running. [FIXED] Battleye kicks for CSJ gyro push and rotate options. [FIXED] Issues with buying and selling helicopters at bandit and hero camps. [CHANGED] Updated supply crate model thanks to Paul Tomany. [UPDATED] RF3 Realism weights updated to include new items. [CHANGED] Empty briefcase now has rare chance to spawn on a business suit zombie. [CHANGED] If you are the owner of an object there will be no chance of breaking tools. [CHANGED] Removed plot pole requirement to build. Plot pole is still used to prevent others from building and to increase item deconstruction times. [CHANGED] Reduced recipe requirement for canvas to 2 Clothing instead of 4. [CHANGED] Stick Fence recipe changed to not require supply crate. [CHANGED] Crafting recipe for small Camo Nets reduced to 2 x ItemTent and 2 x ItemPole was 4. [CHANGED] Lowered crafting recipe requirements for empty supply crate to 2 x lumber + 1 scrap metal. [CHANGED] Sandbag nest now requires workshop/workbench to craft. [CHANGED] Can now fill empty fuel barrels on standard fuel tanks. [CHANGED] Increased range of crafting from 2m to 3m. [CHANGED] Increased range of power assisted auto refuel from 10m to 30m. [CHANGED] Reworked Epoch events scheduler and made it more accurate. [CHANGED] Recent death board text change to say Recent Murders. [REMOVED] low humanity target heartbeat system. [REMOVED] Road debris no longer spawn loot, helps with performance and we have added extra loot positions in the world. [REMOVED] Automatic humanity uptick if lower than 2500. [CHANGED] Removing any base building items or wrecks will now require a crowbar. [CHANGED] Removing base building items now have a 10% chance to a break tool every stage of deconstructions. [FIXED] Urban girl texture path was incorrect. [FIXED] battleye fix remote exec #0 when crashing airplane/heli. [CHANGED] Helicopter crashes now have only the "HeliCrash" loot table like before. [FIXED] Added missing items some traders and corrected case sensitivity issues for linux. [CHANGED] Land_Hangar_2 back to industrial as MilitaryIndustrial was to OP. [CHANGED] swapped some military loot with more industrial for MilitaryIndustrial loot table. [ADDED] Black market vendor the trader city Stary. [CHANGED] Default construction count lowered from 5 to 3. [FIXED] fixed tag friendly system and epoch aura. [CHANGED] Some recipes input and construction counts reduced. [FIXED] fixed weaponholders configs for tents, etc. [ADDED] 5+ humanity gain from killing zeds, -10 for gutting and +20 for exchanging zombie parts for biomeat. [FIXED] Prevent player zombies from getting any default loadouts. [FIXED] Bad vehicle type message when using default loadout override and no backpack. [FIXED] dayz_zedsAttackVehicles logic was reversed fixed now so that true = attack vehicles. [FIXED] Models needed extra variable to prevent being sunk into the ground. [CHANGED] Bleeding duration reduced to minimum of 30 sec and max of 330 seconds. Before it was min 100 max 500. [ADDED] When kneeling bleeding per second is reduced by 50%. [ADDED] When crawling bleeding per second is reduced by 75%. [ADDED] When changing locations the locations name will display in the bottom right. [CHANGED] Replaced m107 with BAF_LRR_scoped. [FIXED] Lock vehicle no longer shows on killed vehicles. [CHANGED] Plot pole has changed to another model a "no entry" sign and can be removed by anyone. When done building take your plot pole with you, if it isn't yours remove it and put it back down again. [ADDED] Loot positions on top of some tables. [ADDED] Briefcase that can hold up to 10 x 10oz Gold Bars or 100oz. [CHANGED] Can no longer Salvage vehicle parts with 0 damage. Fixes bugged hitpoints and duping. [REMOVED] Remove all crates of toolbelt items. This was just to add stock to traders and since most servers are now auto stocking them at the traders its not needed and cumbersome to use. [CHANGED] Generator can only be built within 30m of gas stations that say "Needs Power". [CHANGED] Moved light bulb to farm loot table as it was to common on trash loots. [ADDED] Fuel pump can be built near standard fuel source (i.e. rusty tanks) then powered with a generator to make a refuel station. [CHANGED] R3f realism tiredness system no longer uses fade to black, changed to use standard dayz shaking and knockouts. [ADDED] Reset tiredness when you take painkillers. [ADDED] Reset tiredness when you sleep at a tent. [ADDED] Epoch aura, bandits will now have a red orb attached to wrist and can only be seen if you have line of sight. [ADDED] Epoch aura, heros will now have a blue orb attached to wrist and can only be seen if you have line of sight. [CHANGED] Tag friendly system now makes orb green. [ADDED] Increased chance to catch fish from a boat, fish should also gets deposited into the vehicle. [ADDED] ItemBriefcaseEmpty to new office loot table based on residential. [ADDED] Scream when knocked out from being overburdened. [CHANGED] Zeds no longer break windows and will not hit you if no windows are broken. 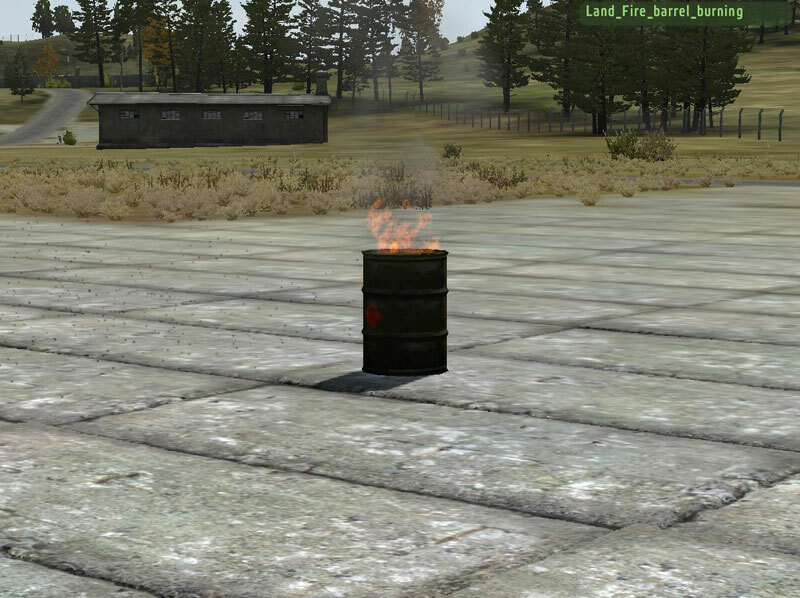 [CHANGED]Lower chances of fuel barrels and generators on industrial. [CHANGED] Powered refuel now fills 10% capacity each animation. [FIXED] Epoch aura orb should be deleted when player enters a vehicle and added back again after player gets out. [ADDED] Early support for Sahrani with traders, may still need balancing and additional loot positions. Next patch will have more support. [UPDATED] dynamic vehicle config changes to add new vehicles. [CHANGED] all maps now have bandit/hero traders that deal in high end weapons and armed vehicles. [ADDED] Chop wood now creates a pile of wood on the ground with progress counter. Thanks Krazey! [ADDED] New 55 gallon fuel barrel. Fixes glitching with old one. [FIXED] Can now fill jerry cans from standard fuel tanks again. [FIXED] Bug with new safe model shadow fixed. [FIXED] Check that items and weapons are removed during weapon trades. [FIXED] Added message when attempting to sell a vehicle with more than 75% average tire damage. [FIXED] Fix for no melee ammo after clothing switch. [CHANGED] Re-indexed all loot tables. [CHANGED] When building plot pole you will now get a message if building to close to another pole (45m). thanks for maintaining this thread 2yys beans for you my friend. Some of you might have noticed that (due to popular demand) we changed the reboots to every 4hrs instead of 3hrs. Let us know if you notice any decrease in server performance during this extra hour. Mike still has yet to move the airplane trader from NWAF back to NEAF. New Update in the change logs guys, some sweet stuff in it too!!! Awesome. Great improvements. Gonna miss that rolling dust though. It was a nice effect at dusk. Wow, I had no idea this was done. se can upgrade vehicles now? all those lines of code are greek to me. Just so you all this may Change due to this is a ROLLING CHANGE LOG 1.0.3 its not been released as a full update as of yet.. Released CHANGE LOG 1.0.3 our server has not updated to this yet Mike will let you know!! Really like what i'm reading with the change logs. I'll have to mention to Mike about us upgrading soon once we know there are no issues.